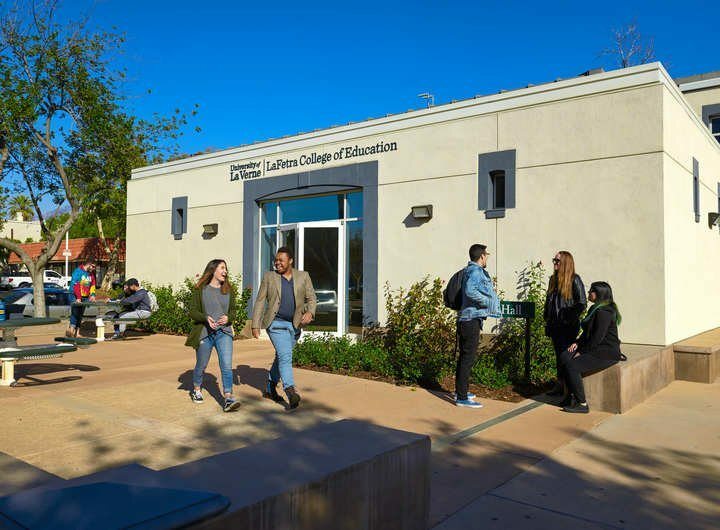 A team of faculty from the University of La Verne’s LaFetra College of Education has secured a grant from the California Council on Teacher Education that will support their efforts to prepare future teachers to work with neurodiverse learners. Associate Professor Amber Bechard and Assistant Professor Sylvia Mac, of the college’s Special Education Department, and Professor Marga Madhuri of the college’s Teacher Education Department, received one of eight Collaboration for Effective Educator Development, Accountability and Reform (CEEDAR) grants from the council. Their proposal was among 30 submitted from across California. In the past, teaching practices favored separating children with neurological differences, such as dyslexia or other challenges, from typical learners, Bechard said. Over time, that model has shifted to one where children with and without learning differences are in the same classroom, she said. One way of meeting children’s needs effectively is by bringing special education teachers and general education teachers of typical learners together and working in teams. However, not all future teachers have been trained for this approach to teaching, Bechard said. The CEEDAR grant will allow the team of faculty to collaborate closely across disciplines to review the curriculum in Teacher Education, Special Education, and Educational Leadership. The long-term goal is the development of a dual credential pathway for teachers in special education and general education that focuses on co-teaching and inclusion. The team will identify local school districts where successful team teaching is taking place and create opportunities for future teachers to engage in meaningful fieldwork, Bechard said. These efforts aligns with the LaFetra College of Education’s Center for Neurodiversity, Learning, and Wellness, which calls for greater social equity for those who have experienced exclusion because of their neurological differences or disorders. White-Smith said the Center for Neurodiversity, Learning, and Wellness serves as a hub where teachers trained under the grant will provide free tutoring to neurodivergent K-12 students from the local community as part of their fieldwork/internship requirements, and the collaboration will ensure that teacher candidates become highly-skilled practitioners who foster social equity through their ability to provide optimal learning environments to students with autism, ADHD, dyslexia, behavioral challenges and other neurological differences.